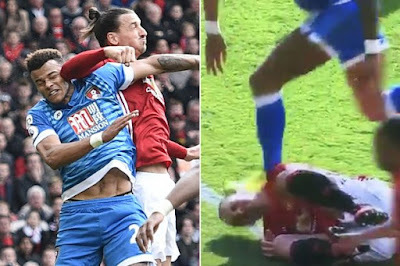 Manchester United's striker, Zlatan Ibrahimovich was involved in bust-up with some Bournemouth players after the big Swede appeared to elbow Tyrone Mings during an aerial challenge which led to a Bournemouth player being sent off. 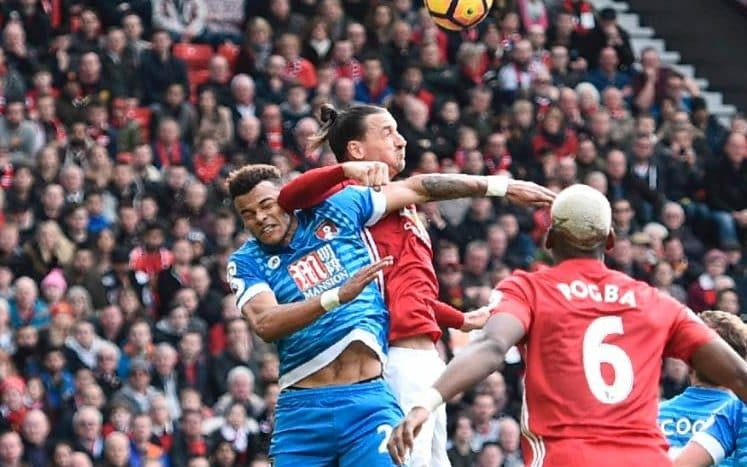 Zlatan will miss FA Cup quarter-final at Chelsea on Monday, followed by the Premier League matches against Middlesbrough and West Brom. He is due to return against Everton on April 4. 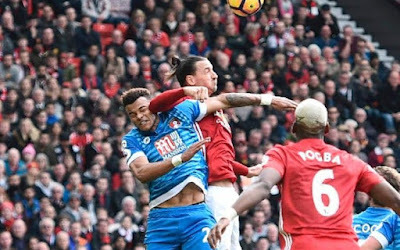 He remains eligible for United's Europa League clashes with Rostov. Mings, meanwhile, has also been charged with violent conduct, for stepping on Ibrahimovic's face, but he is yet to be told how long he will be banned for. internet signal, and in ann attempt to find a service that is superior to dial up connections, you will likely have to search in a few different places. associated with IT or information technology.